Analog will consider material submitted by any writer solely on the basis of merit. We are eager to find and develop new, capable writers. We have no hard-and-fast editorial guidelines, because science fiction is such a broad field that I don’t want to inhibit a new writer’s thinking by imposing Thou Shalt Nots. Besides, a great story can make an editor swallow his preconceived taboos. Will they take multiple submissions? No, except for poetry—submit up to 6 poems at one time in a single submission. Read more about multiple and simultaneous submissions. 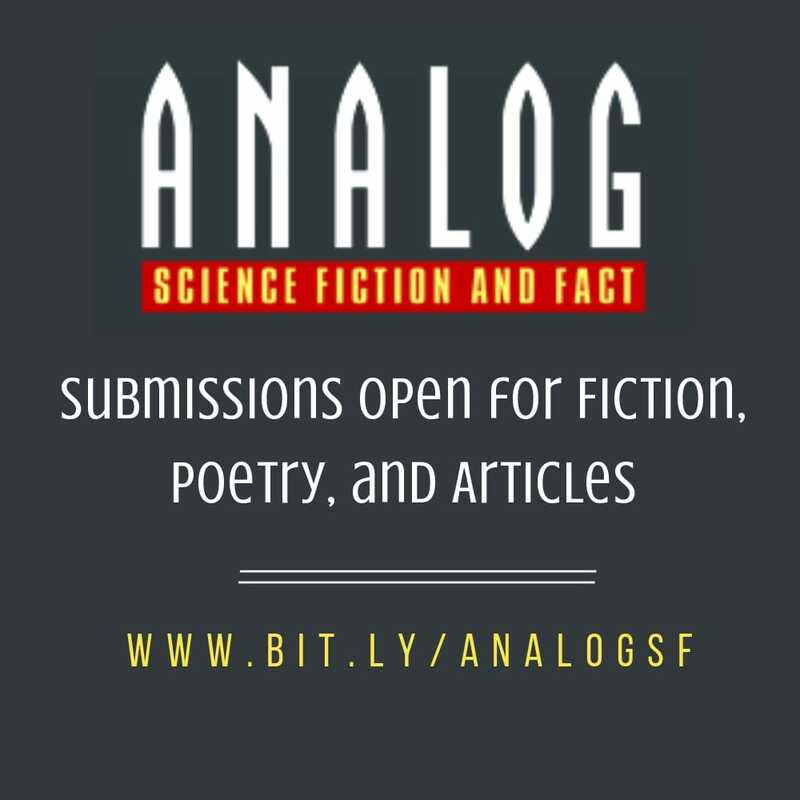 Find more details at Writer’s Guidelines – Contact Us | Analog Science Fiction, and don’t forget to tell them you found their submission call here!